Elephant, Kreuzberg, Berlin. 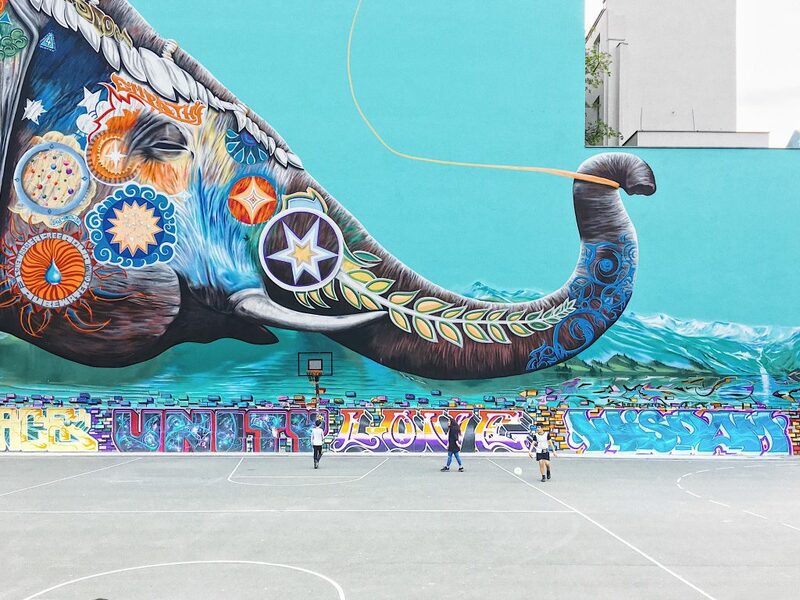 Mural by Jadore Tong, a French/Columbian artist. Photo by Pavel Nekoranec. Berlin is a creative hot spot. With its remarkable history, its cosmopolitan attitude, and its many interdisciplinary experiments and trends, Berlin is attracting more and more creative-industry movers and shakers and start-up founders from across the globe. This wealth of new perspectives has enriched the city greatly. Berlin Digest brings together designers, architects, and communication experts from Berlin and ask them important questions about design. In their answers they offer their thoughts on various design disciplines and processes. The result are stimulating impulses about education, new work, digital life, architecture and city making, as well as interior, fashion, product, and communication design. In order to capture as many exciting perspectives as possible and to learn as much as possible from others, Berlin Digest will also publish impulses from experts from other international creative cities and regions. Berlin Digest is curated by Robert Eysoldt, a Creative Director and international expert for creative industries and experience economy, who has lived in Berlin since 2001.